Jonathan Camacho is one hell of a rider who has been living his entire life in Playas, a small village on Ecuador’s Pacific coast. Coming from a very poor family he had no choice but work several jobs to be able to afford the cheapest bike, that even then he had to share with a friend. Despite such humble beginnings, Jonathan has went on to became one of the best riders to ever come out of South and Central America. Jonathan would love to travel worldwide more often to compete at international contests but it's a lot harder for him than a regular Pro. Obviously the money is tight so he has to find places to stay on trips, but even getting a Visa is difficult as some rich countries think he is coming to settle rather than visit as an athlete. 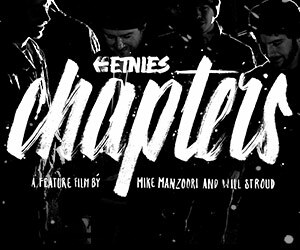 I was amazed by his level of riding and his story, so that's why, along with Mike Hucker, we decided to visit him at home and see this incredibly raw talent for ourselves. The trip started in Quito, which at an altitude of almost 3000m, is the 2nd highest capital in the world. It’s a place where it rains a lot of the time, and where some people have difficulty breathing. Usually the first couple of days on a trip are kind of like of ‘warm up’ days; you don’t go crazy to keep you body in good shape for the rest of the trip. Not for Jonathan though. 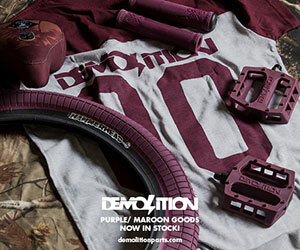 Whether it’s was street, ramps or trails, he rode like there was no tomorrow. I watched Hucker look-on with a mix of amusement, fear and amazement when he was watching Jonathan riding... and crashing. He would crash hard, but like a cartoon character he would get straight back up... all with threadbare shoes and a bike that had seen better days. We spent the first days trying to avoid the rain, cruising throughout the city and watching Jonathan going in battle mode on every spot. We also hit an infamous old-school concrete park that’s located literally in the centre of Quito. 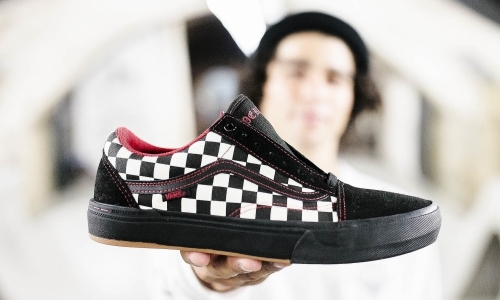 It has a crazy snakerun that finishes in a full pipe (that Corey Martinez Dropped in on a few years ago with United...) and you can guess that Jonathan killed there. Let’s just say that seeing him do a full-pipe flair whip with no helmet a Hawaiian shirt is something that I won’t forget. Jonathan’s riding is raw, tech and stylish, all at the same time... and he definitely has some of the best whips in the game. Flair whip with no crash-mat at Jonathan's bumpy local park in Playas. "He's like a cat, he's got nine lives and he's still pretty young, but jeez man... he's a warrior!" After Quito the plan was to head south towards Jonathan’s hometown, hitting spots along the way. The first spot was a set of trail’s owned by Popin, a really nice welcoming guy. The jumps were in bad shape but after a couple of hours of digging the soft dirt, Mike and Jonathan managed a quick session before the return of the rain. It’s funny to see some countries are so used to rain that the riders aren’t even bothered about being wet. England and Ecuador are in this category. This was evident in our next location, Guayaquil where the kids were skating riding in the skatepark in pouring rain without any problem. We somehow got lucky managed to have a little dry session for a couple of hours where Jonathan was doing tech burly lines and Mike was blasting stylish airs and doing hang 10’s forever. Hucker is far from being a street rider but he couldn't resist this wall ride transfer in Quito. "Despite such humble beginnings, Jonathan has went on to became one of the best riders to ever come out of South and Central America." Hucker with a timeless superman at Popin's trails. Hucker and Jonathan seemed like friends from the first minute that they met. Mike doesn’t speak Spanish, and Jonathan shouts a very basic/funny version of English, but somehow they seemed to understand each other almost perfectly. 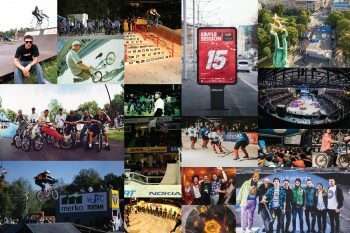 It’s the kind of thing that make me love BMX; regardless of which language you speak, if you have a bike we are friends. After a long trip we finally arrived at Jonathan’s home in Playas and met his family. It was very interesting and touching to see where he really comes from. Knowing he’s from a poor family is one thing, but actually seeing it is a different story altogether. His Mom is such a nice person and welcomed us with a amazing meal of iguana (yep!). We enjoyed the last few days there surfing and riding at Jonathan’s local park nearby. It was amazing to see where he learned all those big tricks too, as all the ramps were so rough, bumpy, sketchy and slippery. Not a typical spot to do a flip. Jonathan in Quito during his epic first day. "Jonathan really is an amazing character and maybe just the nicest crazy guy I’ve ever met." 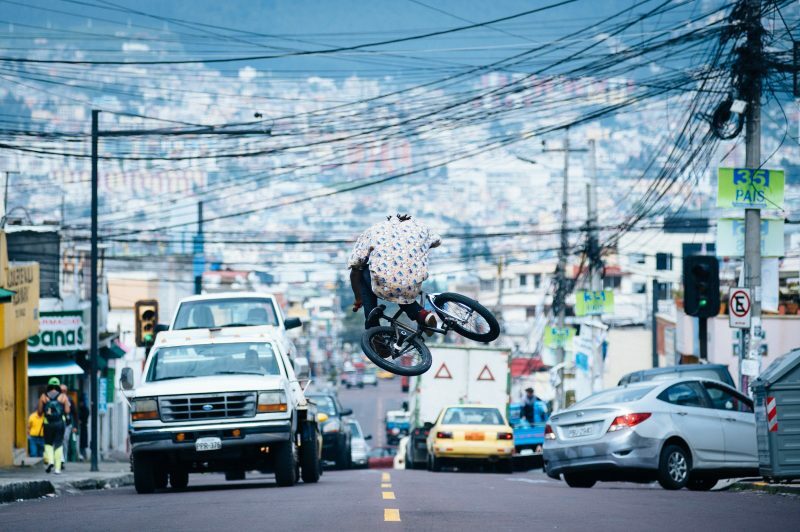 Jonathan knows his basics : Stretched no hander in Guayaquil. Wallride to 180 in Quito. Jonathan really is an amazing character and maybe just the nicest crazy guy I’ve ever met. 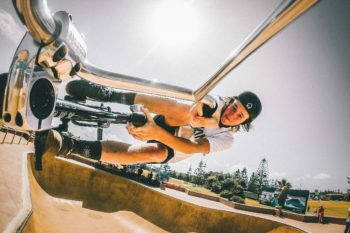 His drive to become a Pro BMXer is impressive beyond words so lets hope the rest of the world bets their chance to see him ride in person too. Thanks: Red Bull for this opportunity, Mike who is like always the perfect guy to travel with, Jonathan, his family, and all the local riders, especially Chaso!